A work of art that can be worn. 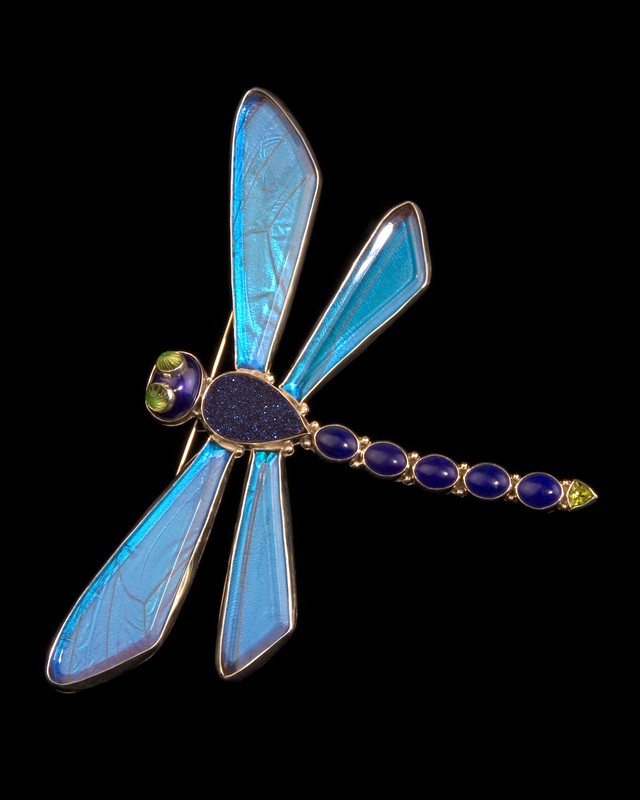 This dragonfly brooch has actual Morpho butterfly wings set under hand cut and beveled clear glass. His head is enameled in navy blue with hand carved peridot stones for eyes. His body is a tear drop shaped titanium drusy with five lapis lazuli cabachons making up his tail which is tipped with a trillion cut peridot. The entire dragonfly is set in sterling silver.